Catalogues of astronomical objects concentrate on providing mean astrophysical data for stars, deep sky objects, and other astronomical objects. These catalogues are frequently utilised by astronomical software applications that use the catalogue data to display the position, size and brightness of objects on star charts. 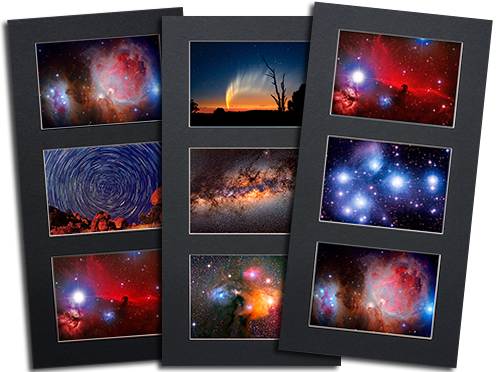 A majority of astronomical catalogues contain other valuable information too, that seems to rarely find its way to the amateur astronomy community. One fine example is the common and historical names of all naked eye Stars contained in the now outdated Yale Bright Star Catalogue (BSC). Not unlike other stellar catalogues, the BSC contains positional information, magnitude and spectral data for each of its 9,096 stars. Some 296 of these entries are catalogued with a star name, and 192 of those are recorded as having been known by one or more other names. Indeed it seems that some of the more well known stars have been known by several names. Take Algol for example, it has or is also known by the names of Gorgona, Gorgonea Prima, Demon Star and El Ghoul. Each star name is scattered throughout the entirity of the BSC and related names are linked in ancillary data files. Software written to extract the star name information from the database of the Star Atlas:PRO™ and collate the Star Name data produced the following table that provides a wealth of information relating to the names of Stars that I hope readers will find useful. Columns: HR = Harvard Revised Number. Vm = Visual Magnitude. Con= Constellation. Bay = Bayer Designation. Fl = Flamsteed Number. Co-ordinates are J2000.0.